Young, Vibrant, multitalented and a charming young man Aswin Shankaranthe is here with us this time.. 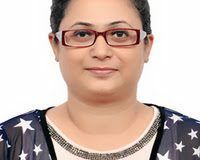 This time we have with us Author Devika Das who penned down the self-improvement book ”..
Monika Thakur just entered the world of authors with her very first book “Secret of.. Many youngsters are coming up in the industry and winning the hearts of millions of..